Keyword research is a component of SEO (Search Engine Optimization) that focuses on finding words or phrases people actively search for, and creating content that ranks highly in search engines. The former would be termed something like “search volume”. When lots of people are searching using the same words or phrases, those words or phrases are said to have a high volume of searches. By definition, lots of people are looking for whatever those terms might be, and if they’re terms that apply to you, that’s a potential opportunity. But it’s only half the equation. The other half would be the number of web pages that already rank highly for those terms in search results. You might consider this your competition. If there are few pages that rank highly for a term, you stand a better chance of crafting a page that (eventually) might be able to. I have to stress might be able to, because as I discussed in a previous article, there are hundreds, and possibly thousands, of different things that factor in to how you might rank in the search engines for a specific term. Simply targeting the term with well-written, well-structured content (that, by the way, adds value) is only a small part of the puzzle. How small, we don’t know. Even well-written content is no guarantee. So what’s a poor site owner to do? I’ll speak about at least one tool you can use in a moment, but I want to start by suggesting you abandon most thoughts of what might be considered “traditional” keyword research. 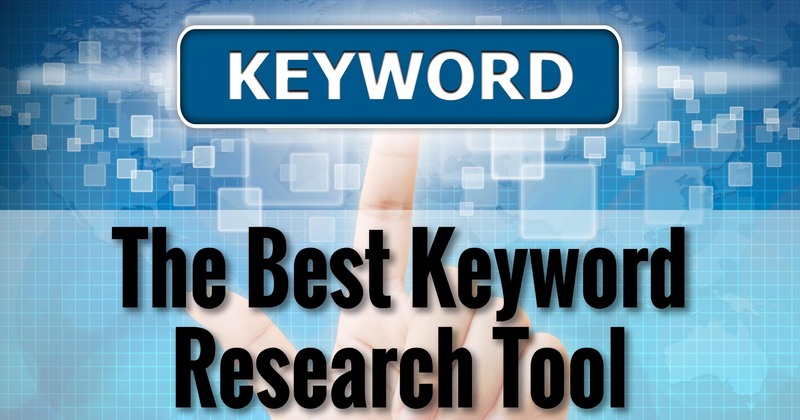 You already have the best possible keyword “research” at your fingertips anyway, and it’s 100% totally free. Listen to your audience. Pay close attention. The words they use are your keyword research. It’ll be rare they’ll use the same words you do. That means you have several opportunities to engage with your people. Use their words. This is by far the most comforting and engaging approach for them. (It can often be grating on you, however. For example, what many people refer to as a “blog” is, to me, a “blog post”. To me, a blog is web site – a collection of posts.) People use the terms they use, and it’s wise to pay attention and speak their language as long as the meaning remains clear. Use synonyms appropriately. In my area of expertise, should I talk about “sign in”, “signin”, “sign-in”, “login”, “log in”, or “log-in”? Even if there’s a grammatically correct choice, pay attention once again to the terms your audience uses. As we’ll see in a moment, traditional tools can help here. Educate. This is an area where you can add value, and yet alienate if you’re not careful. For example, again calling on my Ask Leo! experience, the term and product name “Outlook” is now misused by perhaps 90% of the people asking questions. The reason is Microsoft’s fault, as they have two products with similar names: “Outlook”, the desktop email program that comes as part of Microsoft Office, and “Outlook.com“, the web-based email service and user interface for Microsoft email accounts. The two are unrelated to one another, and people consistently use the term “Outlook” when they actually mean “Outlook.com”. As you can imagine, the distinction is important, particularly when asking for help. I try to make the clarification gently. That’s 90% of your keyword “research” right there: in your inbox or other communications stream, right now, for free. There are free tools that help determine what words might be most relevant. Both are from Google, and you probably use one of them every day without even thinking about it. 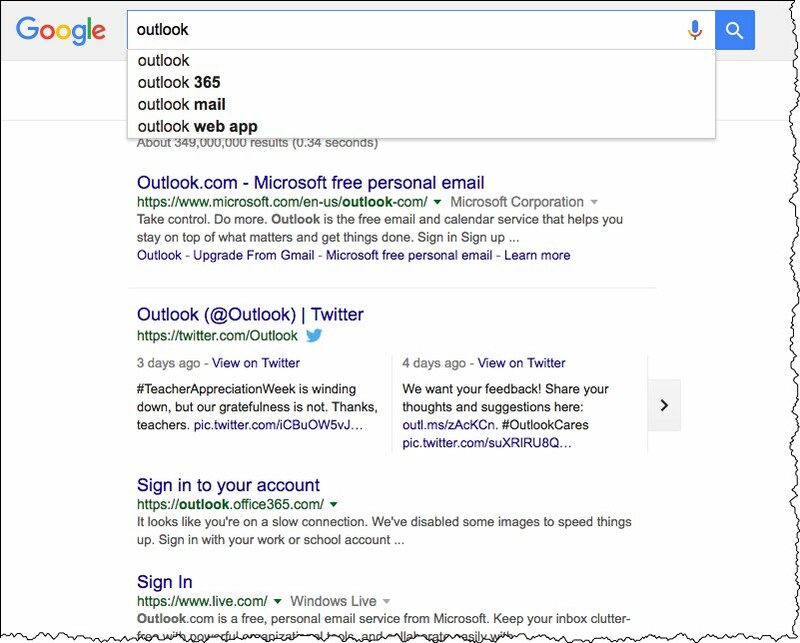 Give you search results for what you’ve typed so far. Both of these are valuable, as they show you what Google thinks is related to whatever it is you’ve typed. Google auto-complete and real-time search results. 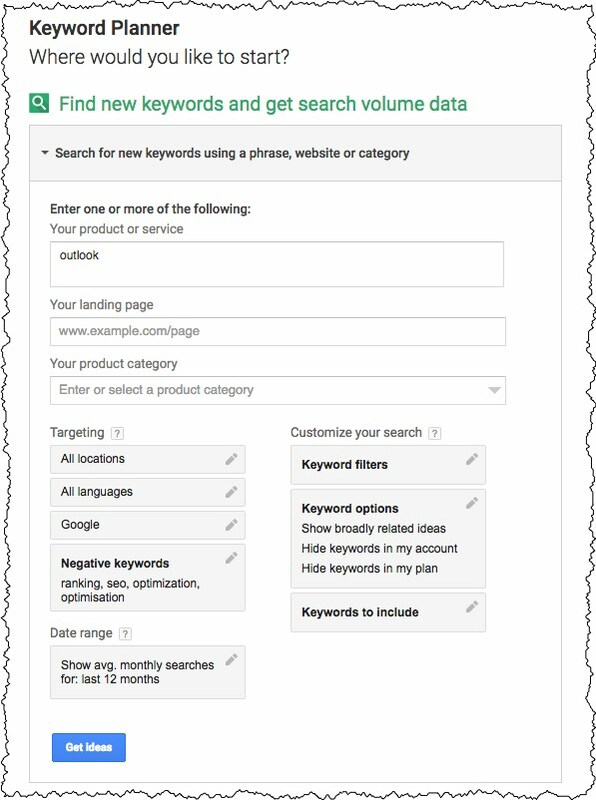 Google also provides a free keyword research tool targeted at its advertising customers. Visit https://adwords.google.com/KeywordPlanner. The first time you do, you’ll need to sign up for a Google Adwords account in order to use the tool. 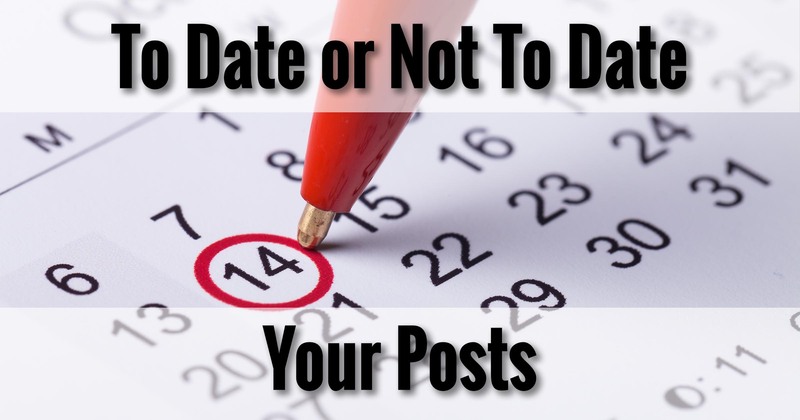 You’ll be taken to the Keyword Planner. 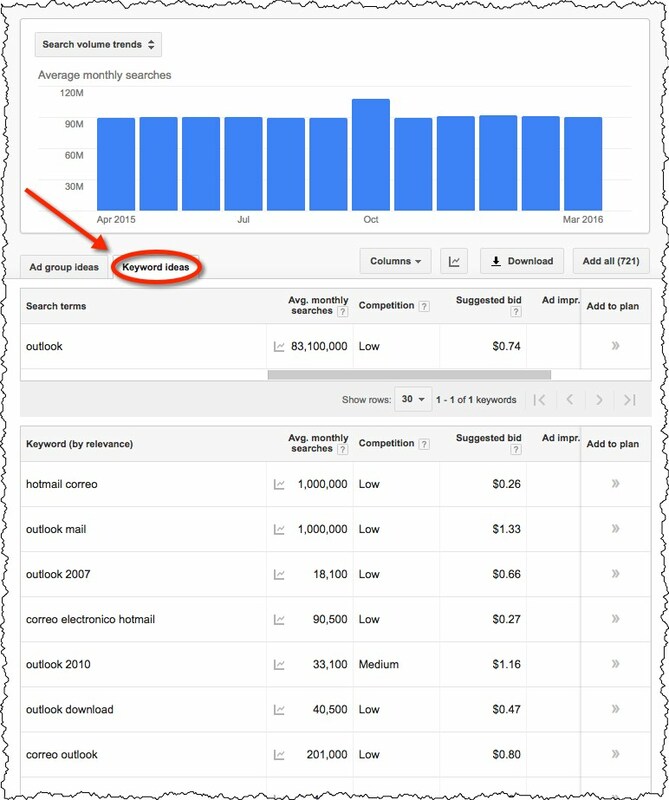 Click on Find new keywords and get search volume data. The tool is quite extensive and powerful, but for our needs, it’s enough just to enter a keyword or two in the “Your product or service” box, and click Get Ideas. On the resulting page, click on the Keyword Ideas tab to get a list of related keywords. Adwords will estimate how often that keyword is used in searches – the “search volume” I discussed before. This tells you how popular the listed keywords are. You can sort by any of the columns by clicking on the column header. For our purposes, this really only makes sense for the “Keyword” and “Avg. monthly searches” columns. Important: the “Competition” column here is not related to the number of pages that might rank for a particular term. Adwords is an advertising tool, and in this context, competition relates to the number of advertisers who are are interested in placing ads related to the particular keyword listed. To get an idea of the competition we really care about – the number and quality of the pages Google returns on a search – we simply search for the keyword or phrase manually and examine the results. Naturally this process can be refined – perhaps restricting the locale and language of the keywords to be returned, based on your understanding of your audience. You can search for more keyword ideas based on the keyword ideas you’re given to drill down further, if you like. The Adwords tool isn’t a place I spend a lot of time, and I don’t recommend that you do, either. However, it is a great tool when you’re looking around for ideas, or trying to answer a general usage question. 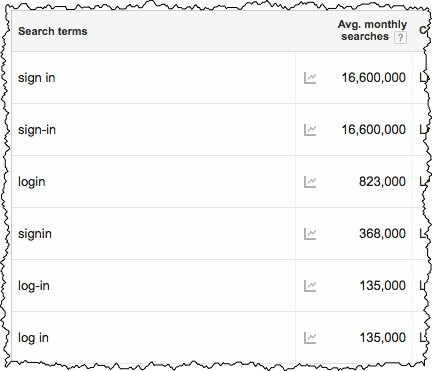 Relative search volume on variations of “signin” and “login”. Your readers remain your best source of inspiration and keyword research. There’s one professional service that I’ll mention in passing: MOZ. They have a keyword explorer that you can use a couple of times for free.1 Their primary services are paid services intended for businesses. MOZ is a very well-regarded company and has many valuable tools and insights – for a price, of course. Then there’s the flip side: the not-so-well regarded. If they can, it’s not what you’re looking for, or it won’t last, and runs the very real risk of damaging your reputation with the search engine beyond repair. Outright lies. Preying on desperate business owners looking for a quick fix to their website traffic woes, they take your money and disappear. Ranking for keywords you don’t care about. For example, they might find some relatively obscure keyword or phrase that no one ranks for, and quickly gets you to the number one position in searches for that keyword. The problem? No one ranks for that keyword because no one searches for it. 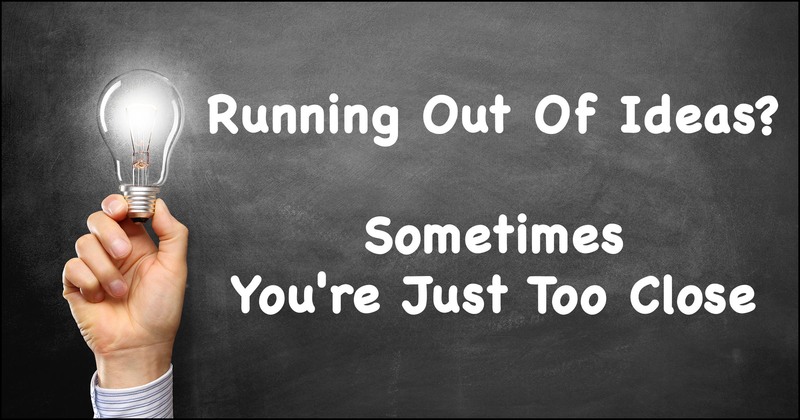 You get no traffic out of it whatsoever – something you discover only after your helpful scammer is long gone. Using scammy and spammy techniques. For example, one of the ranking factors search engines use is the number of incoming links to a web page. Scammers often spam links to your site from hundreds, if not thousands, of websites – often in the comments sections on those sites.2 For a short time, you may rank highly because of the incoming links. After your helpful scammers have taken the money and run, however, the search engines figure out what happened. Not only does the effect go away, but you can disappear from the search engine completely, for what they see as a very serious violation of their policies. I’ll say it again and again: the best way to rank well in search engines is to provide content that adds value to your audience. The best way to understand what terms or “keywords” to use is to listen to them. They’re very likely all the keyword research you need. 1: It’s possible that clearing cookies, or doing things in in-private browser sessions, might let you do more. 2: It’s why comments are often moderated, and why popular sites – like Ask Leo! – actually have to hire staff to weed the good from the bad. “Scammers often spam links to your site from hundreds, if not thousands, of websites – often in the comments sections on those sites.” That one was new to me. In the past, I would sometimes give a negative WOT rating for any spam links on the Ask Leo! comment pages. Some of them might have been innocent victims of scammers. That’s one way how using those services can backfire. It’s actually the primary reason that web spam (aka comment spam) is as bad as it is.